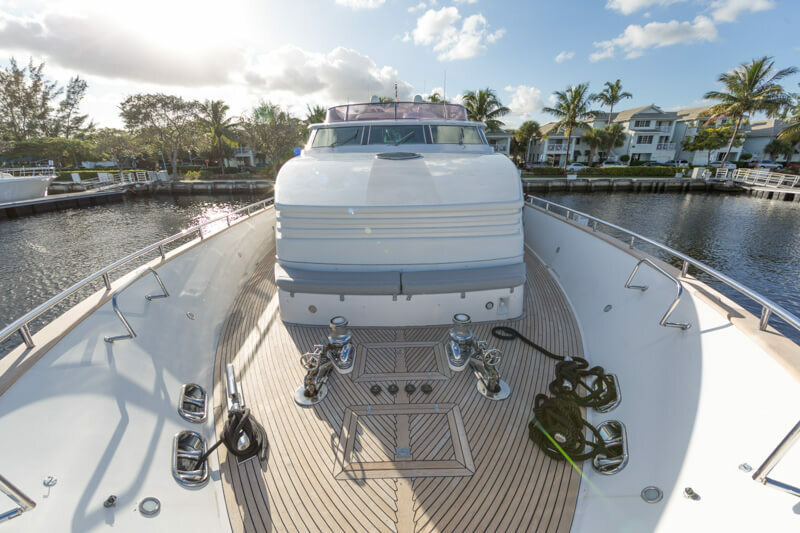 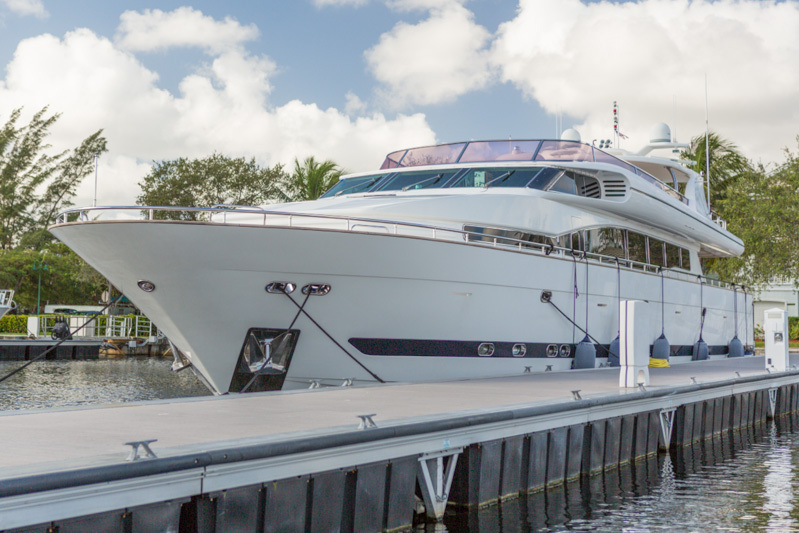 NOT AVAILABLE TO US BUYERS WHILE IN US WATERS The raised pilothouse Horizon 105 MR. CAT located in Fort Lauderdale, FL can easily be shown at your request. 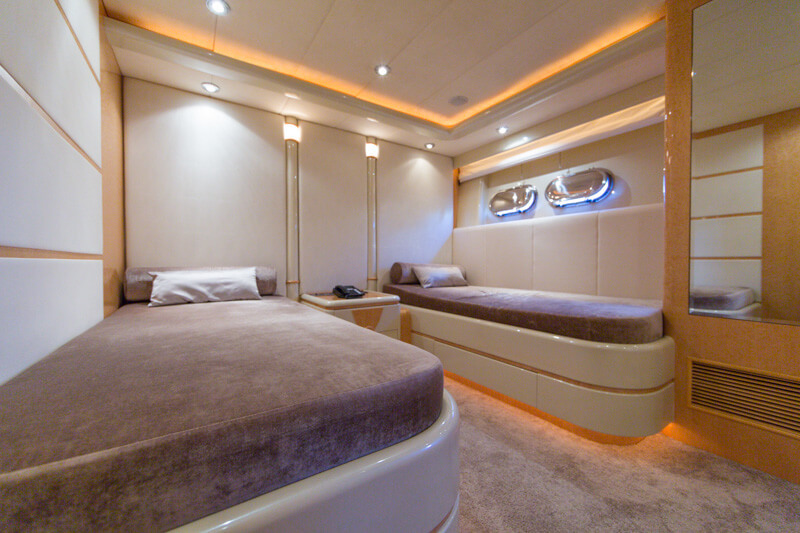 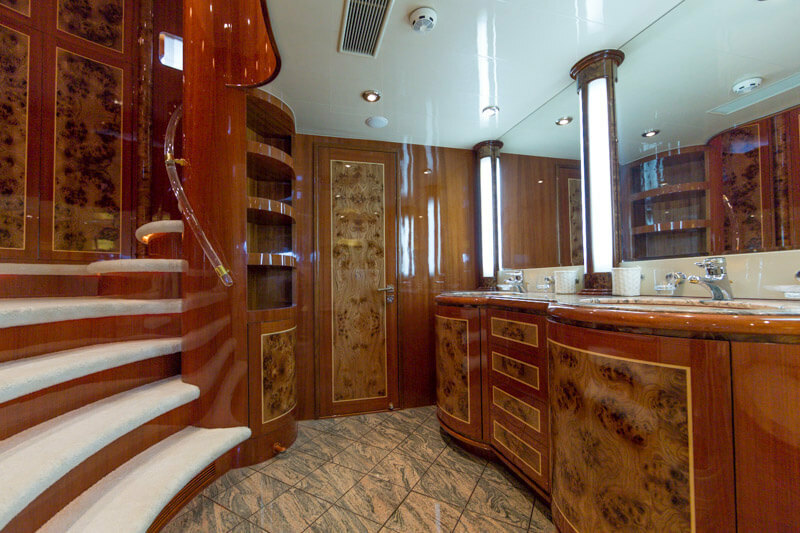 Featuring a 5 stateroom layout with on-deck master and huge fly-bridge for entertaining. 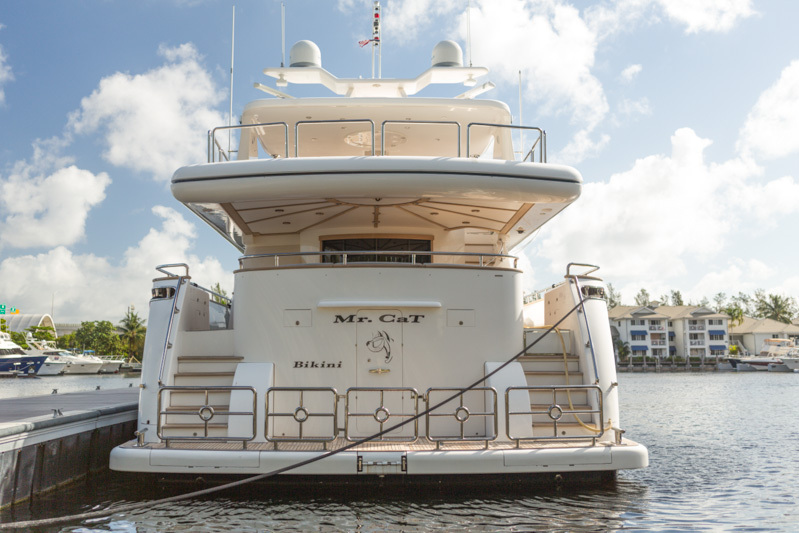 Recently serviced twin MTU 16V2000 having LOW hours making Mr. Cat the best Horizon 105 on the market. 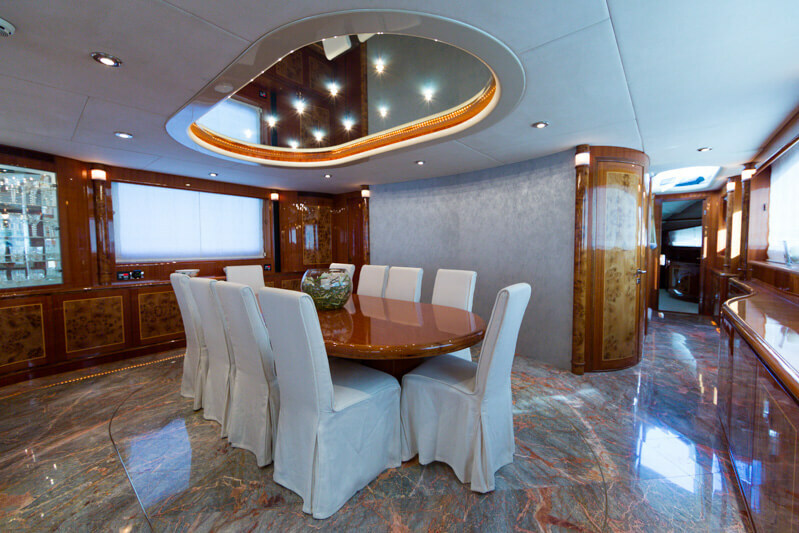 Evan Marshall designed interior shows in excellent condition with marble floors, spacious main salon with a fully stocked bar and dining table for 10. 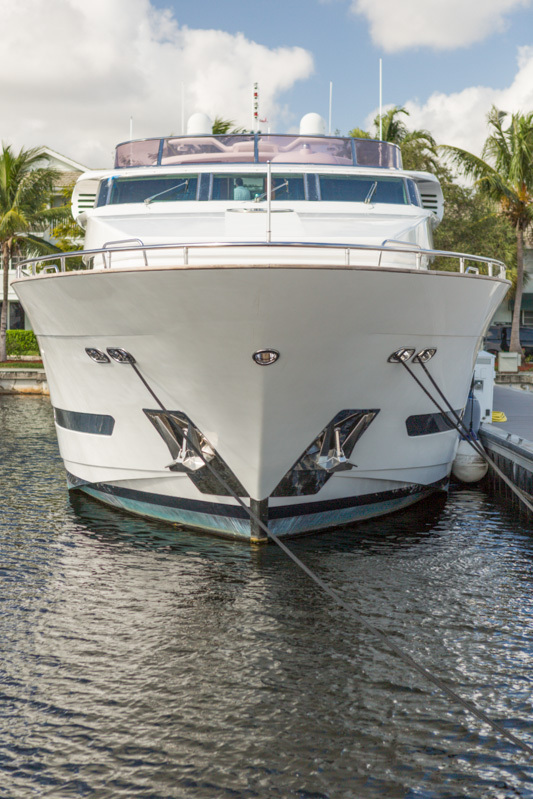 *** There is visual damage to the bow from an docking incident. 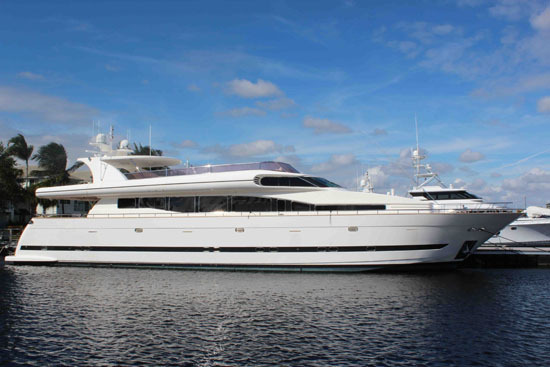 The raised pilothouse Horizon 105 MR. CAT located in Fort Lauderdale, FL can easily be shown at your request. 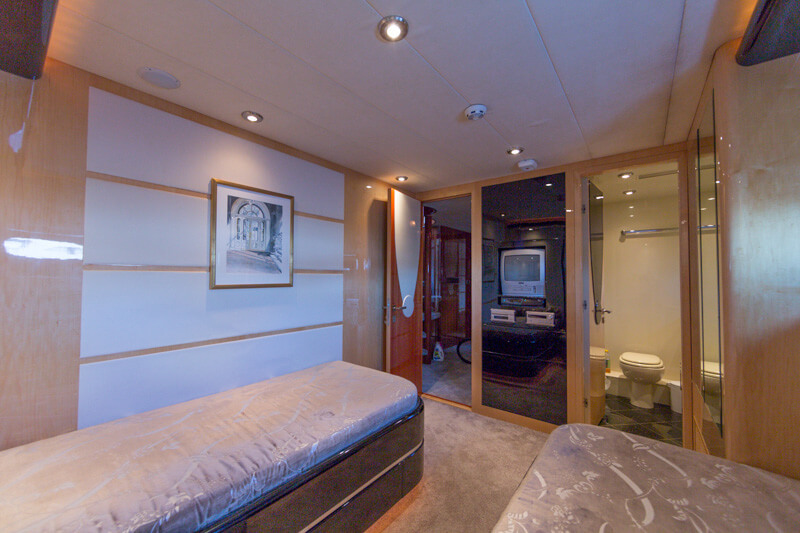 Featuring a 5 stateroom layout with on-deck master and huge fly-bridge for entertaining. 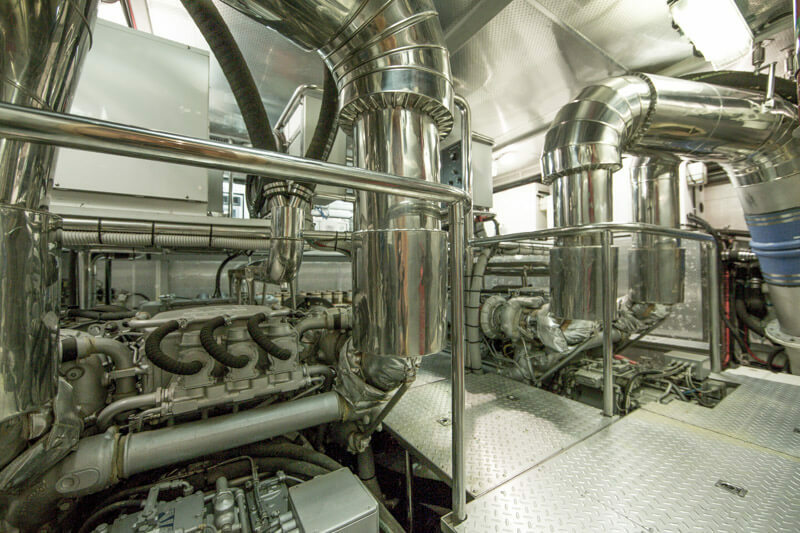 Recently serviced twin MTU 16V2000 having LOW hours making Mr. Cat the best Horizon 105 on the market. 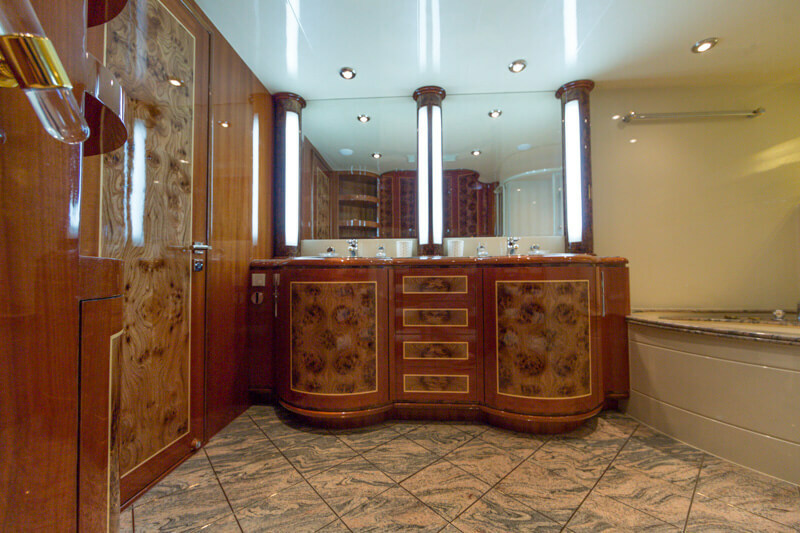 Evan Marshall designed interior shows in excellent condition with marble floors, spacious main salon with a fully stocked bar and dining table for 10. 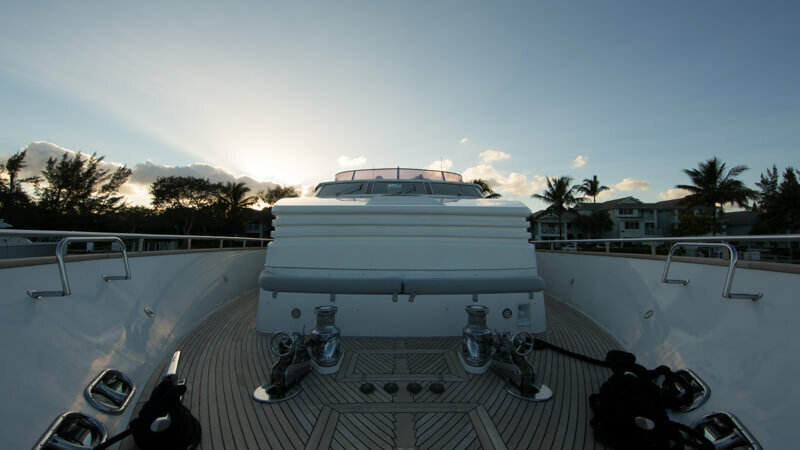 *** There is visual damage to the bow from an docking incident – extent unknown. 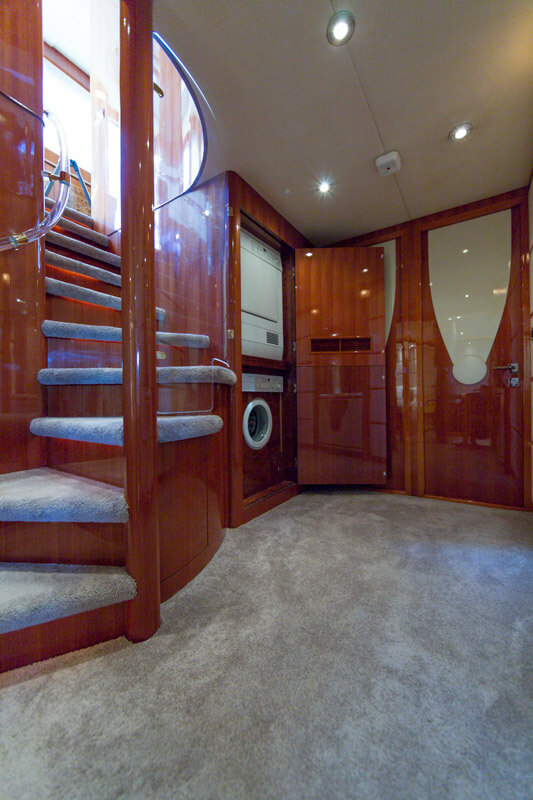 Walking into the main salon from the s/s sliding doors you will immediately notice the volume this yacht offers. 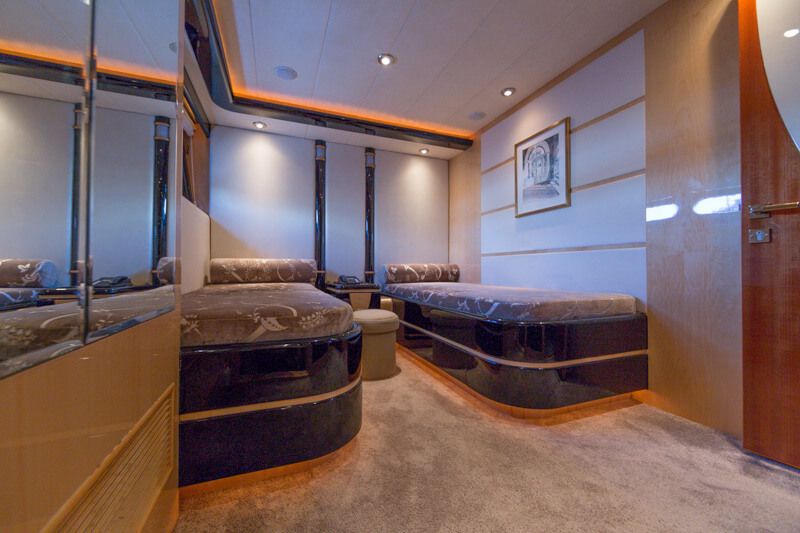 The main salon offers a large L shape white leather wrapped couch and single armchair chair and footrest. 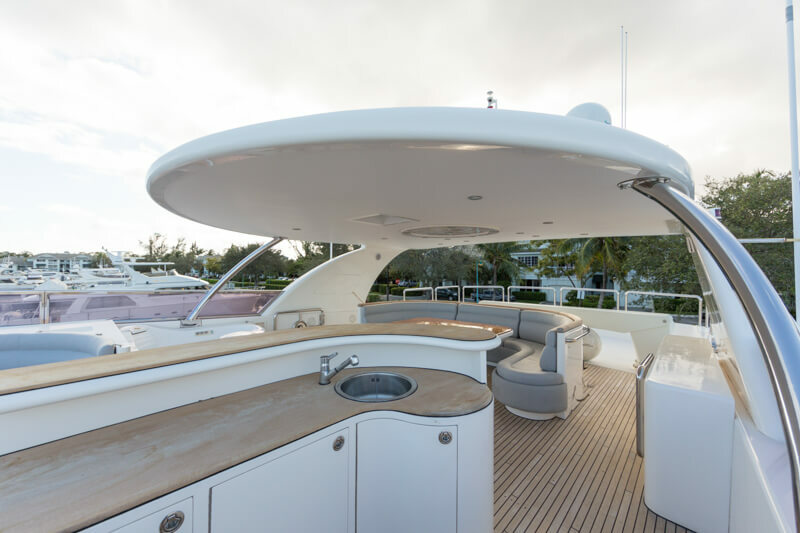 Engle & Olufsen stereo with surround sound speakers. 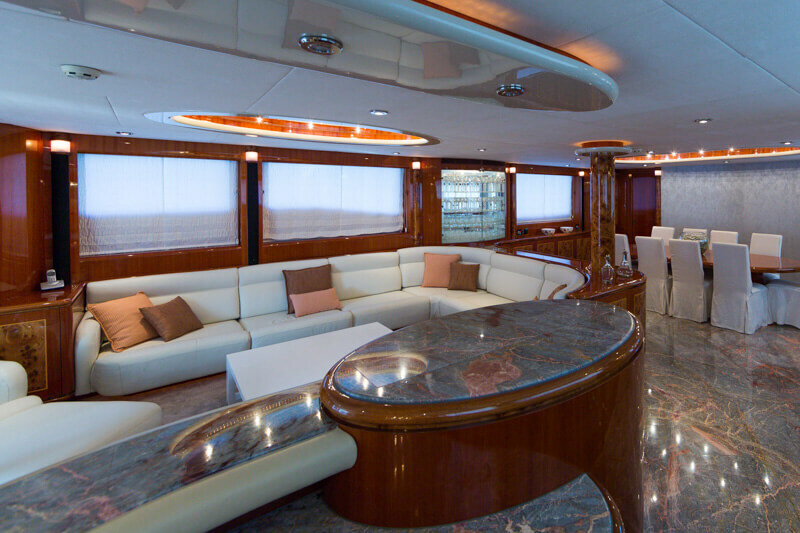 Window treatment for all salon windows. 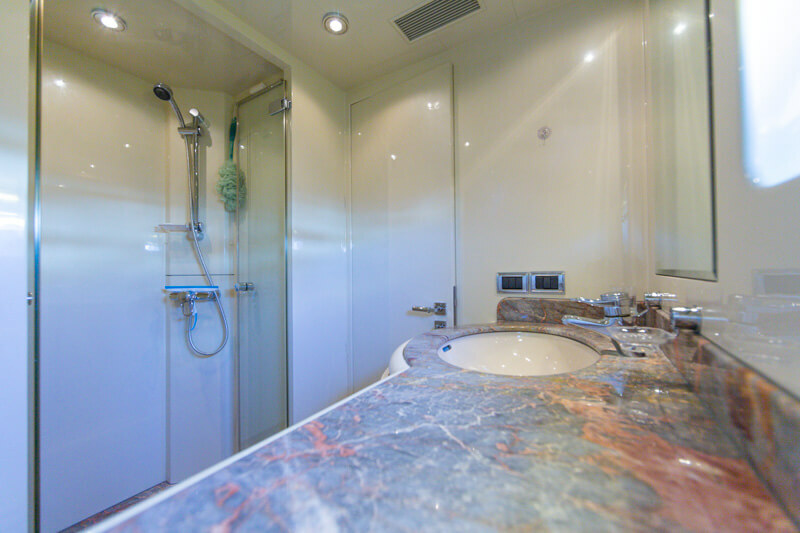 A 40′ TV on an electric pop-up lift can be seen near the wet-bar to starboard providing a U-line icemaker, sink and Engel refrigerator. 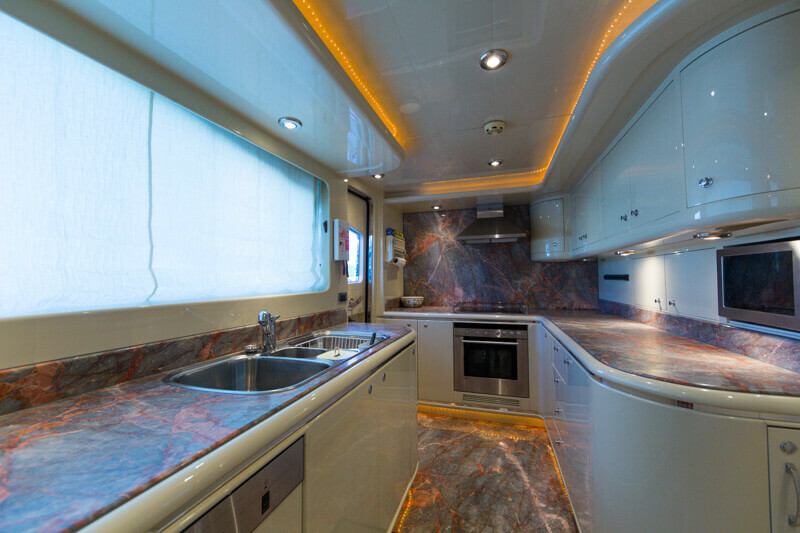 Marble countertops and custom shelving with backlit lights makes for an elegant presentation for your fine crystal. 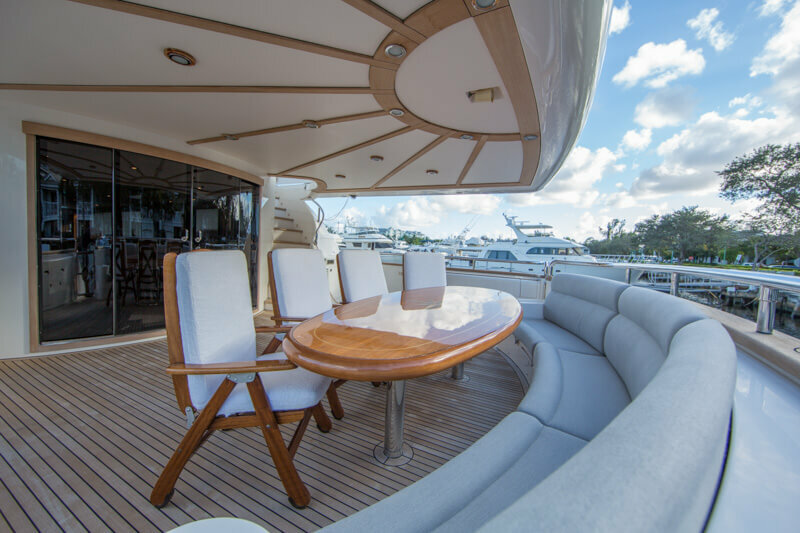 Large teak dining table with seating for 10. 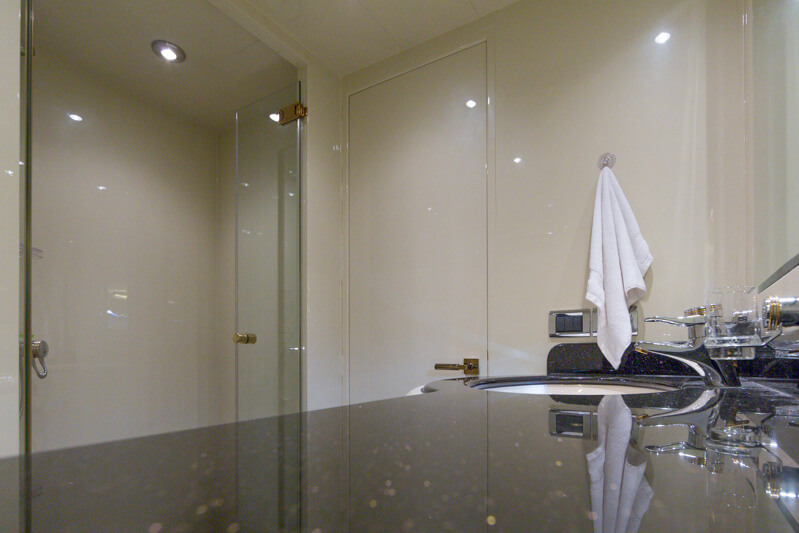 Cabinets throughout providing plenty of space for fine China. 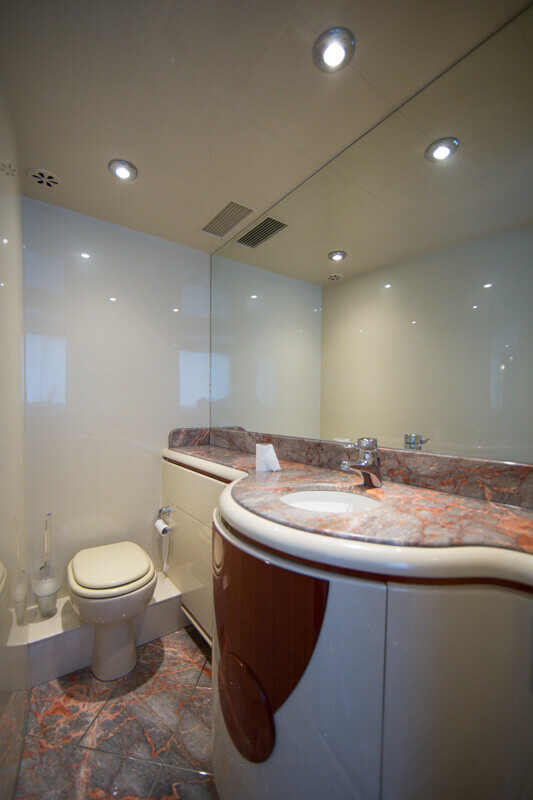 Marble floors and an outlet for central vac. 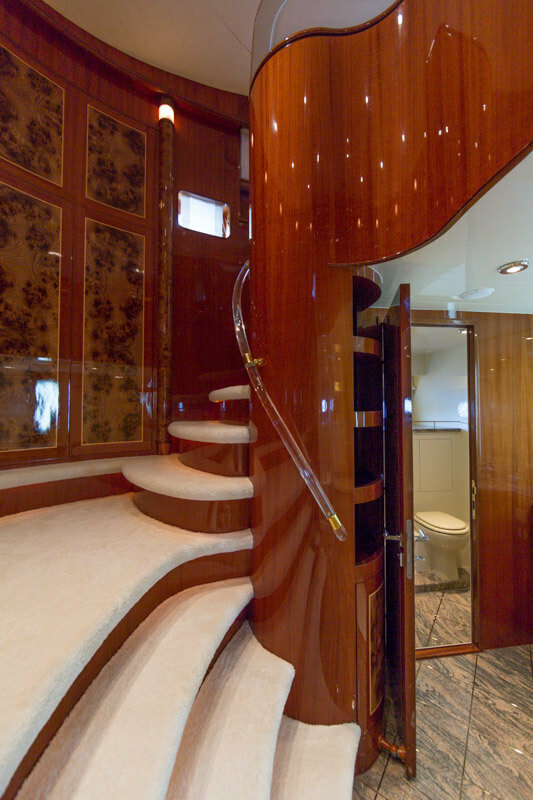 Access to the galley to port with a privacy door. 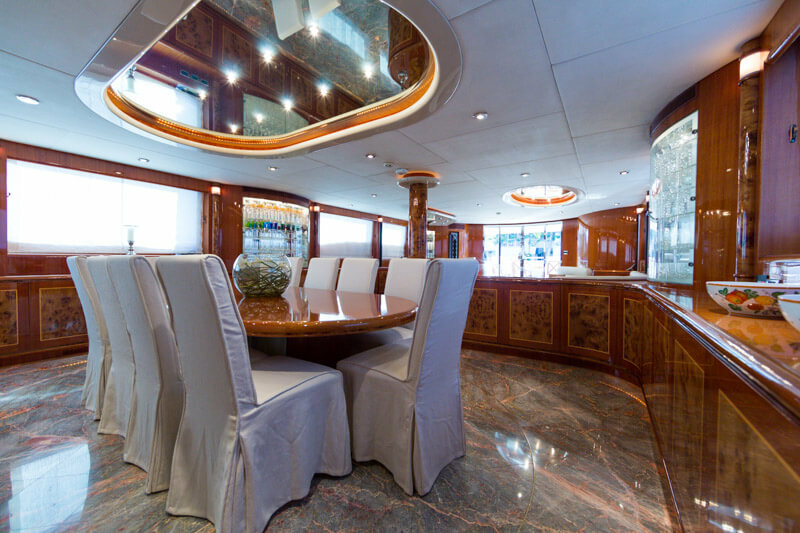 The galley can be found on the port side forward of the dining area featuring marble countertops and floors with an open view off the port side. 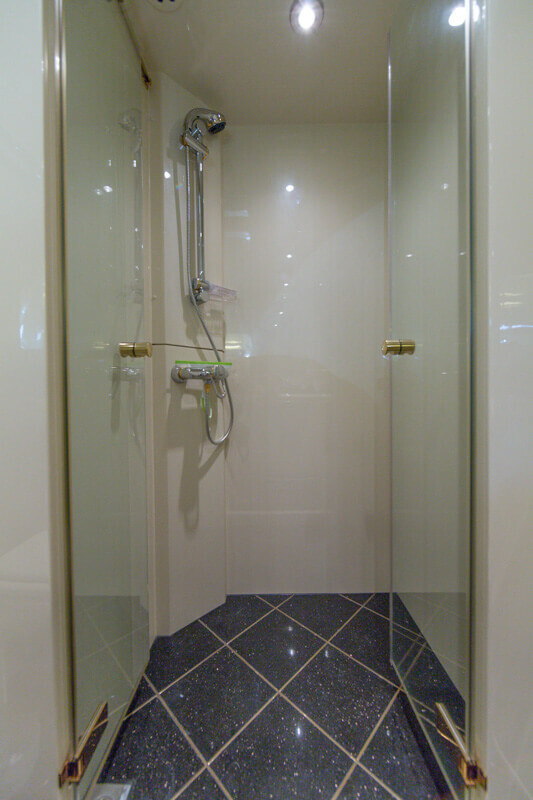 A sliding door provides privacy from the crew while cooking or servicing. 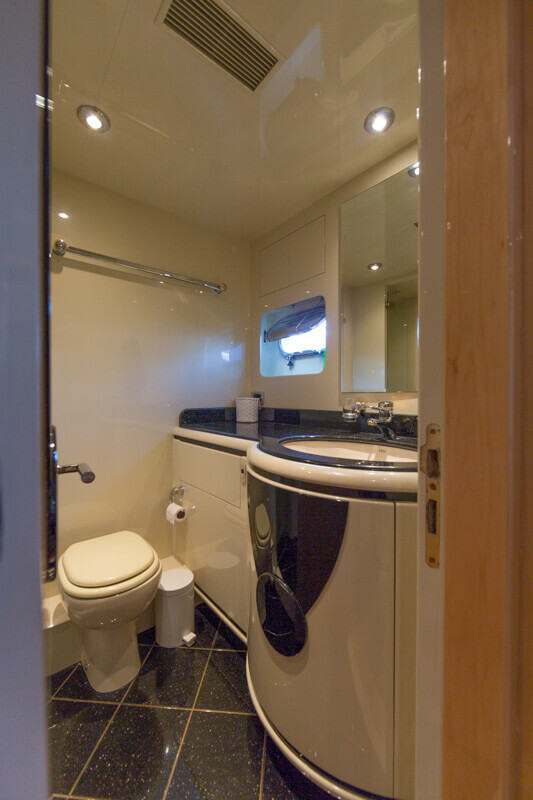 Watertight door to the walkaround deck off port side. 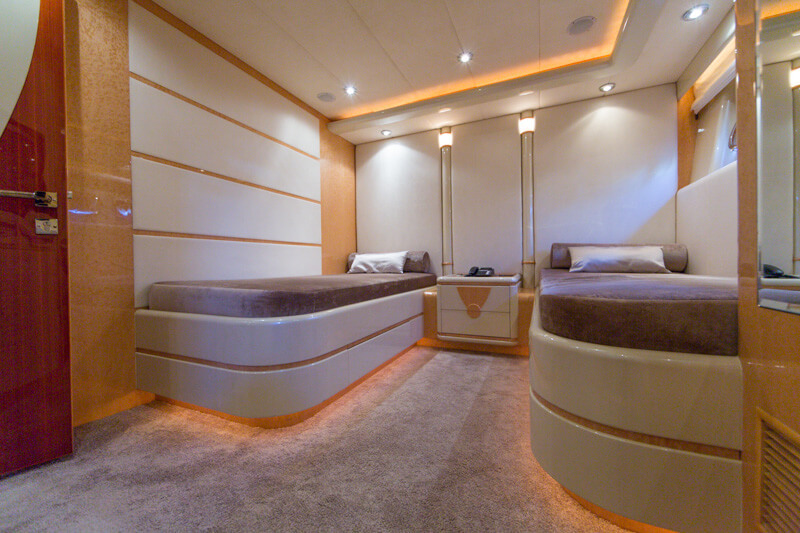 The day-head is located on the starboard side forward of the main salon. 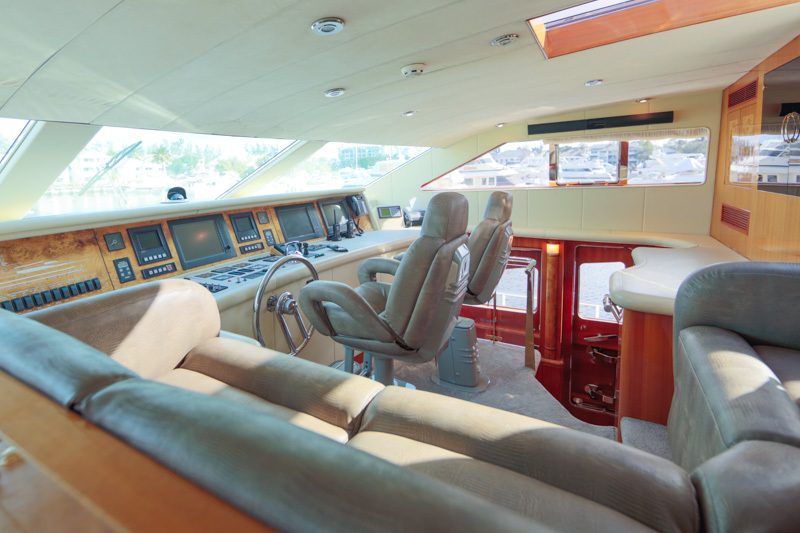 Immediate to the outboard side is a watertight door with deck access. 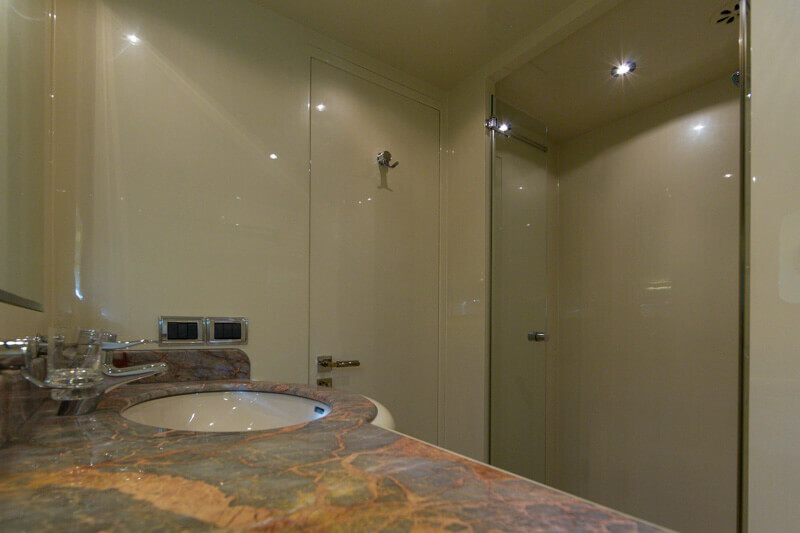 Marble countertops and marble flooring with sink and head. 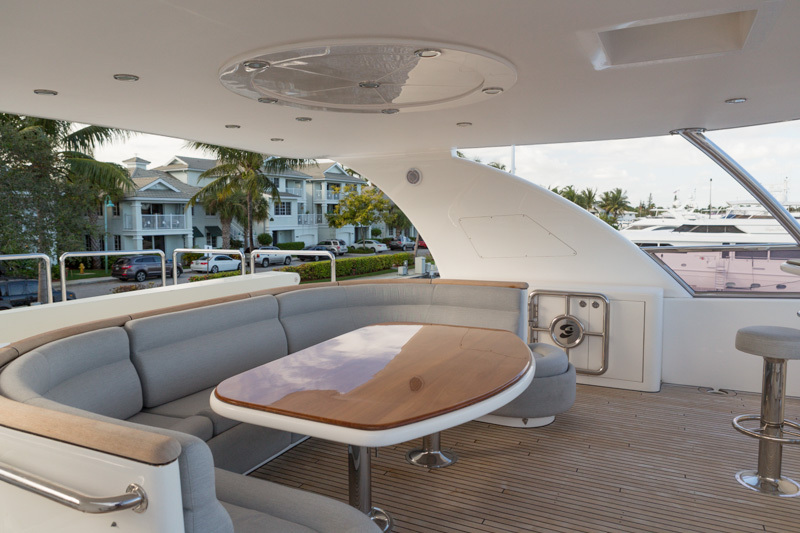 The raised pilothouse can be accessed on your starboard side or from the fly-bridge. 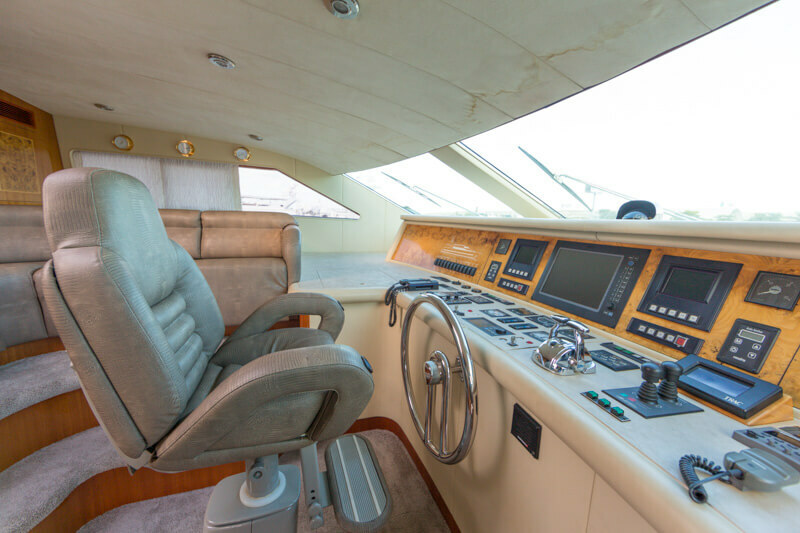 The comfortable bridge offers two adjustable helm seats, great visibility, large leather settee, and plenty of storage space. 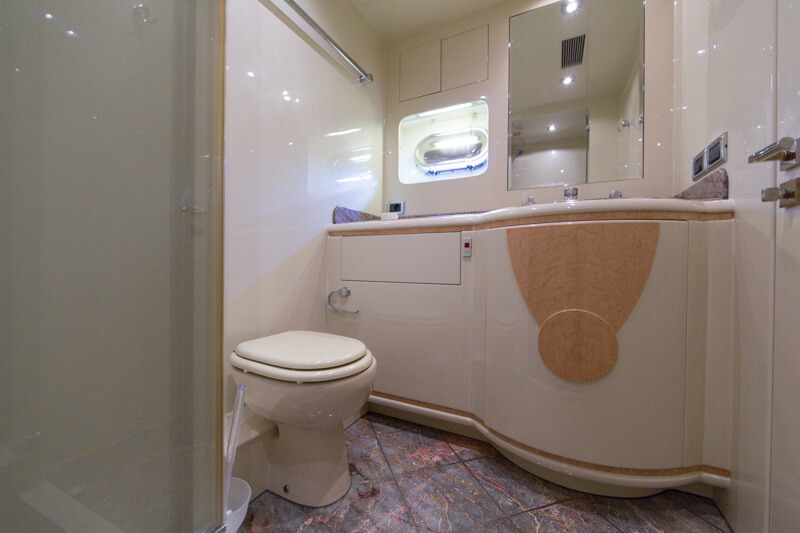 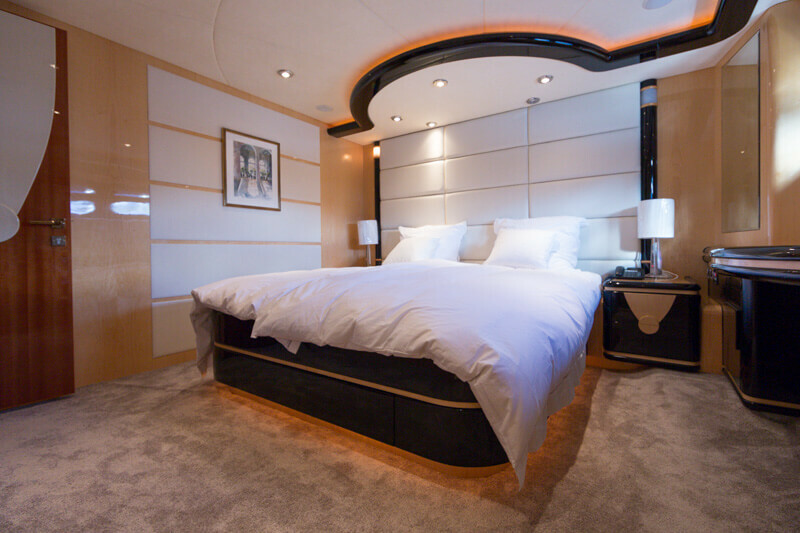 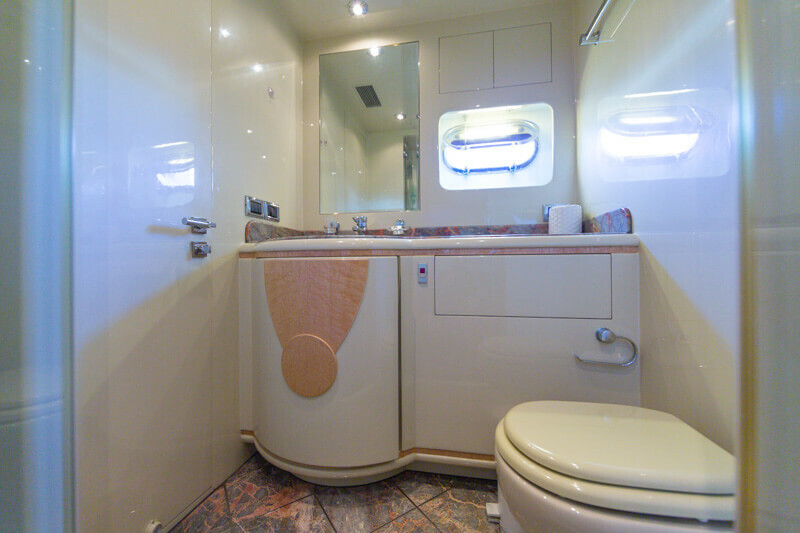 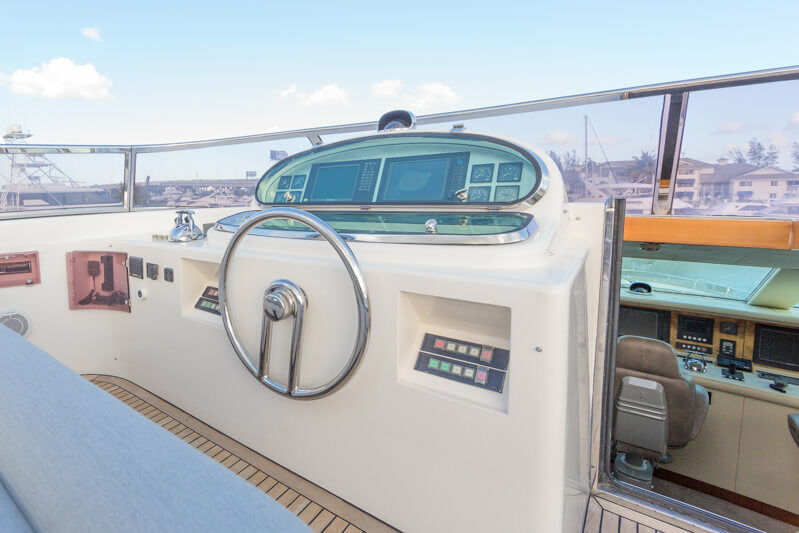 The on-deck master stateroom separates this yacht from the fleet featuring a King size bed , love seat and pop-up TV on an electric lift with satellite TV, custom fitted desk with chair with steps leading to the private bath. 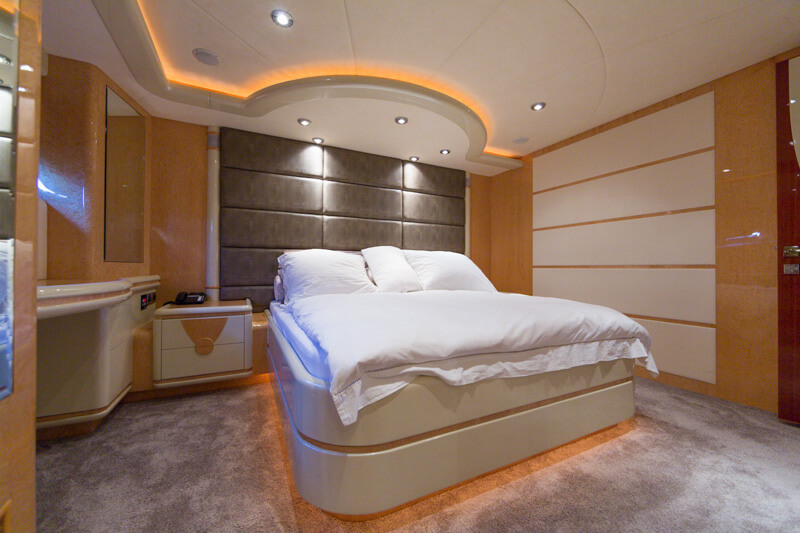 The amount of closet space will quickly be noticed providing more than enough space even for a live-aboard. 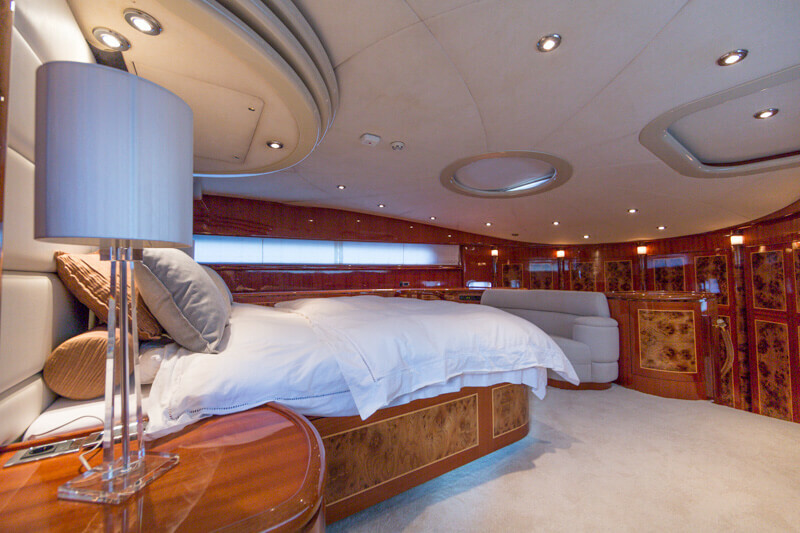 A overhead sky-light and large windows provide plenty of light into the spacious master suite. 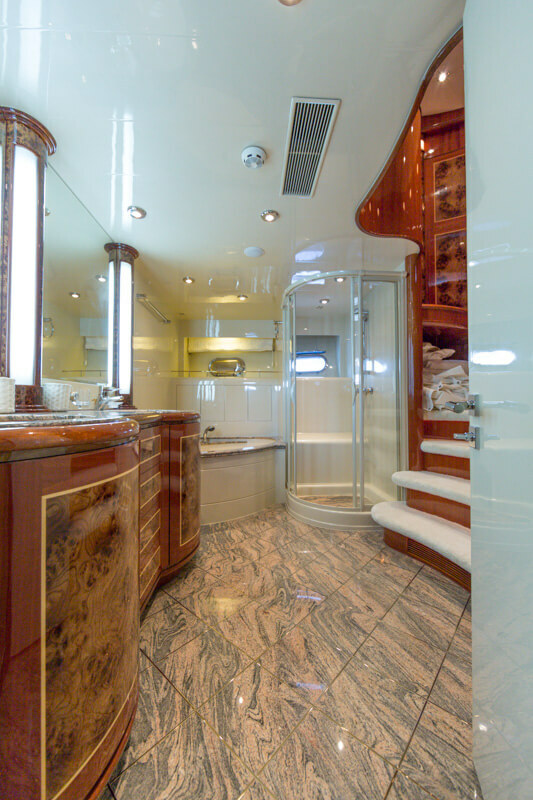 Moving forward down a few steps leads into the ensuite master head with full size shower and standalone jet jacuzzi tub surrounded by heated marble floors and marble countertops. 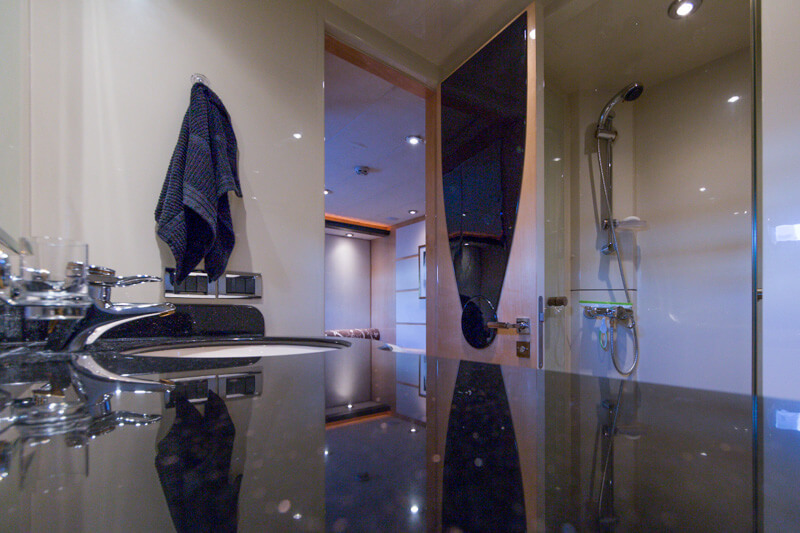 Two sideby-side his and hers sinks. 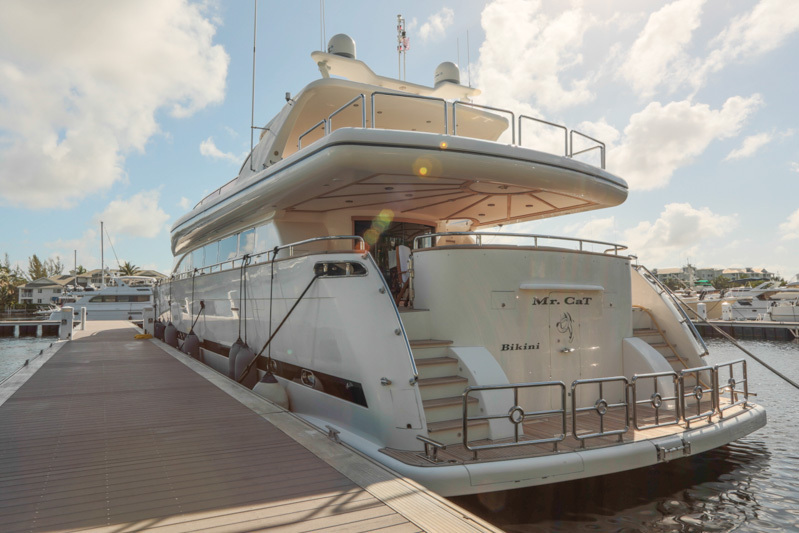 The massive fly-bridge can be accessed from either the aft deck or raised pilothouse. 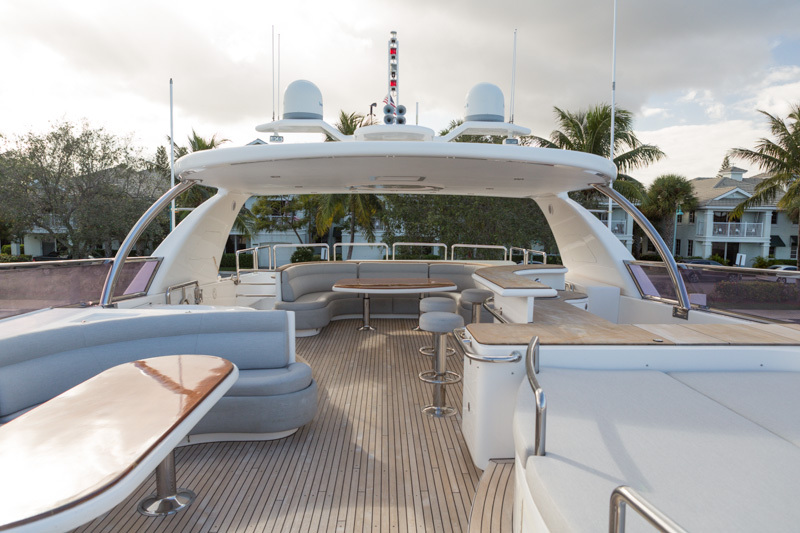 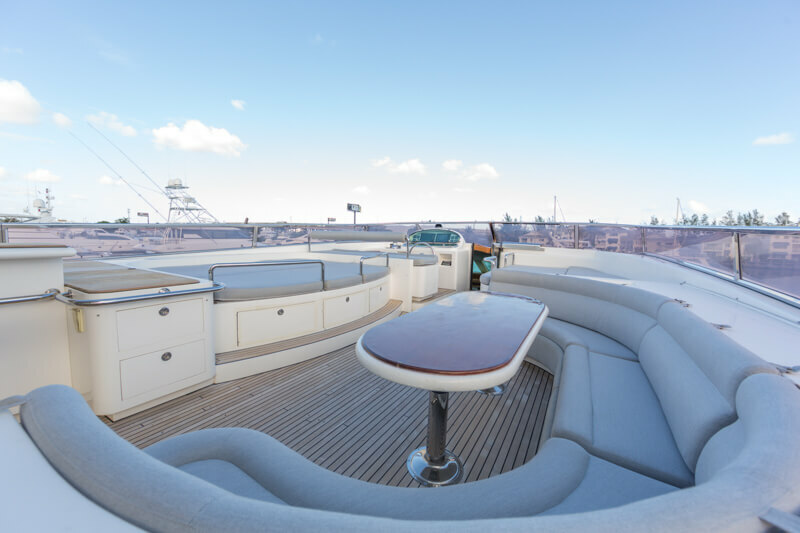 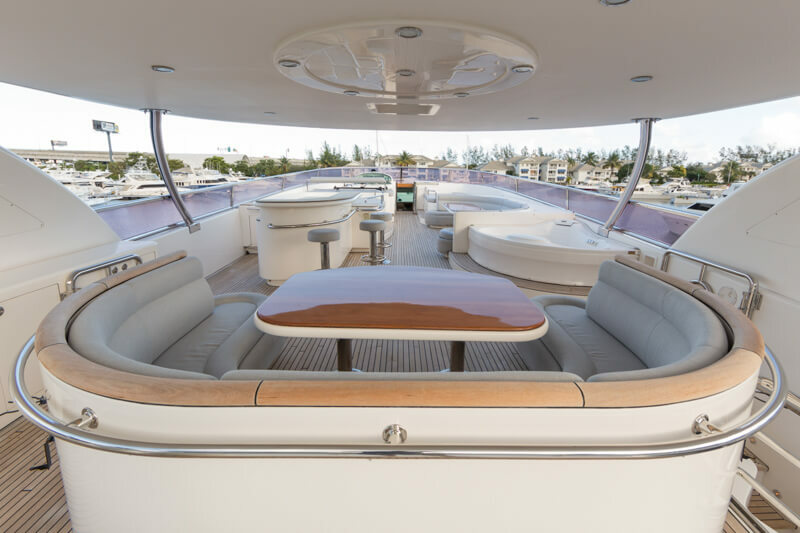 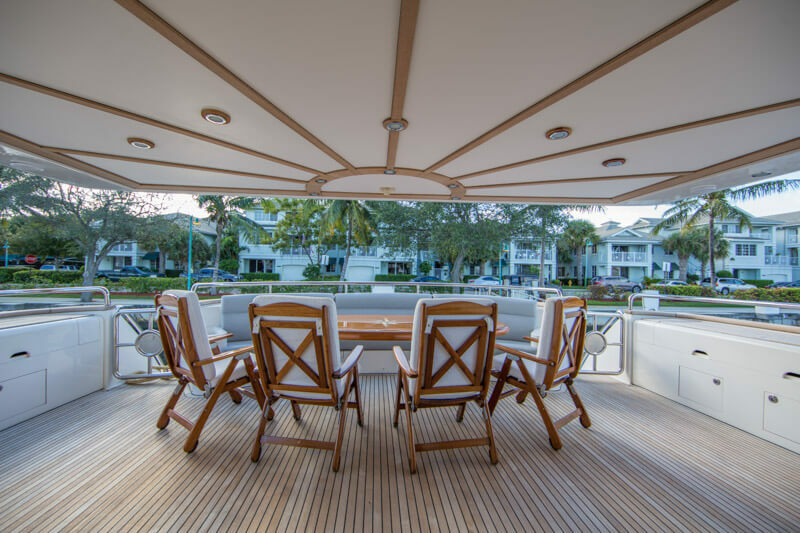 Offering a huge amount of outdoor space included with a full wet bar, Jacuzzi, two teak tables with wraparound seating and tender storage with davit. 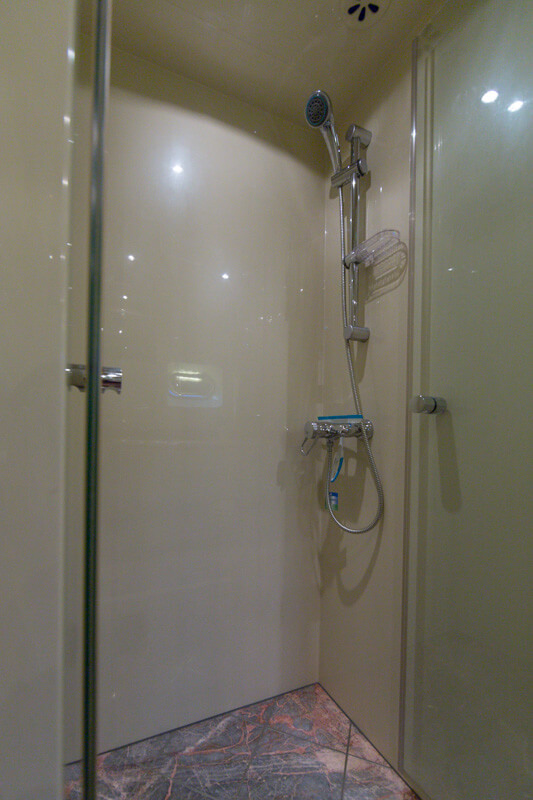 Onan 22.5 kW 50 Hz. 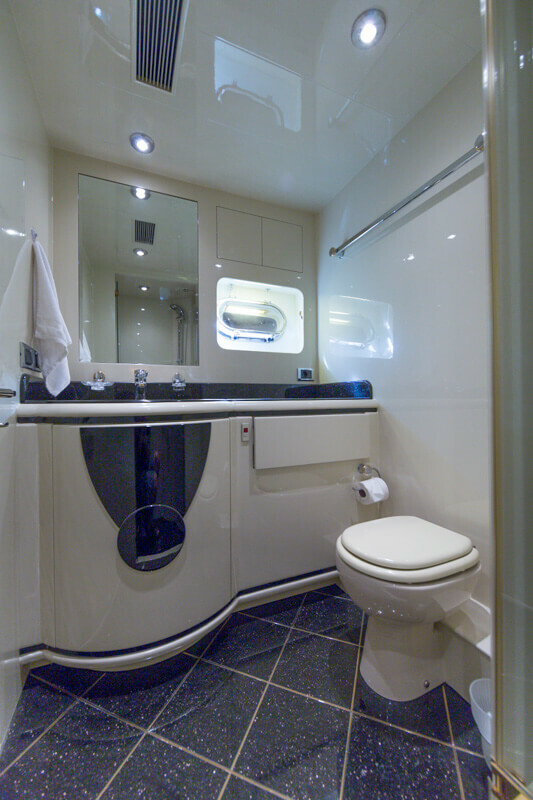 Sleeps 3 with double size berth and single bunk. 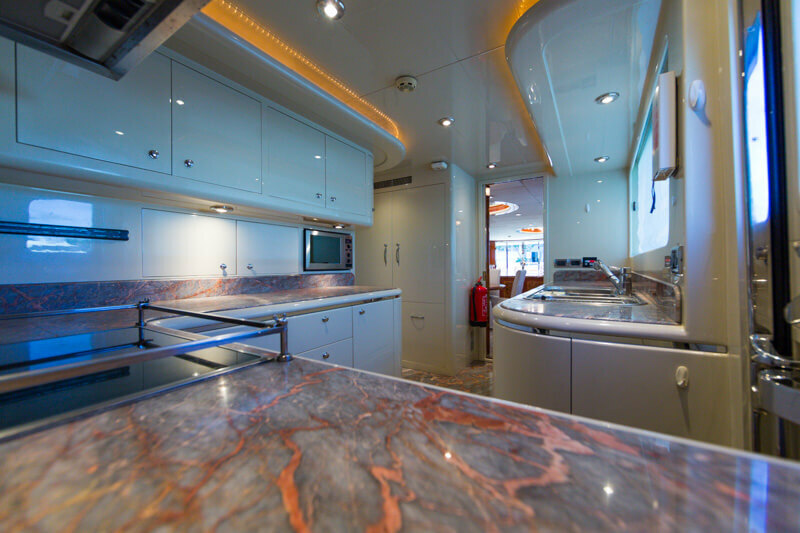 Ajustable dining table can be converted into additional berth.